matte surface. They offer special properties such as fingerprint resistance and a velvety feel. As a result of the special surface with Mondo-HPL, special procedures must be observed. 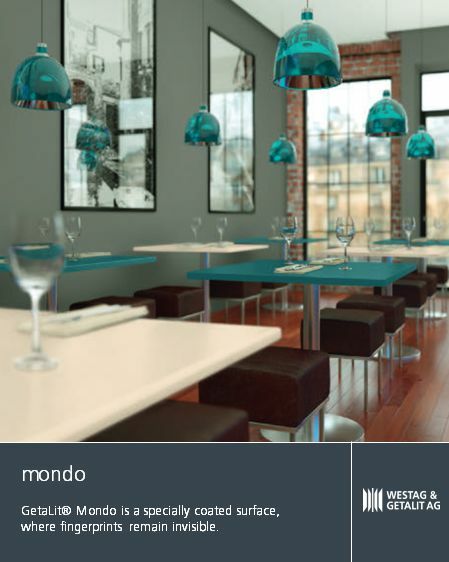 Mondo-HPL can be used both for surfaces as well as for edge finishing. 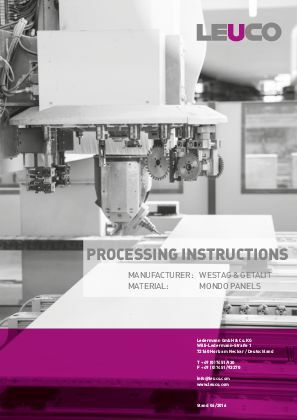 Tool stress when processing Westag & Getalit Mondo panels is higher than with the majority of wood-based panels. Carbide-tipped tools (HW) can be used for processing. For large numbers of pieces and when using modern, automated processes, we recommend the use of diamond-tipped tools (DP). These provide very good processing quality and long edge life. In the next step, select "Westag Getalit" and in the next step select "Mondo." You will then receive the selection of saw blades, hoggers, cutters and drill bits that LEUCO recommends for clean and chip-free processing of Mondo surfaces from Westag Getalit.